Samuel L. Jackson as Elijah Price/Mr. 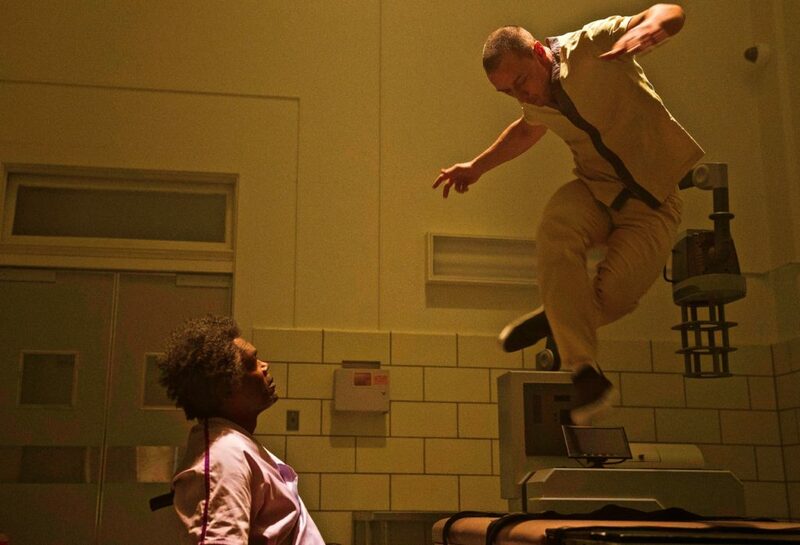 Glass and James McAvoy as Kevin Wendell Crumb/The Horde in “Glass,” written and directed by M. Night Shyamalan. Remember The Sixth Sense? Slow, odd movie with a very shocking ending? Shyamalan has gone back to that drawing board and sketched in a hybrid movie that pulls together plotlines from two of his previous films. Unbreakable from the year 2000: David Dunn (Bruce Willis), a security guard, is involved in a catastrophic train accident that kills all onboard, except him. A stranger, Elijah Prince (Samuel L. Jackson), aka Mr. Glass, swears the event was Dunn’s destiny. Split in 2016: Kevin Wendell Crumb (James McAvoy), an evil man with super strength and 23 personalities, kidnaps three girls. The most venomous of his inner demons, The Beast, is vile beyond redemption.